The picturesque cathedral city of Canterbury has a multicultural population of approximately 60,000. The diversity of religions is represented in the Old Synagogue in Becket Business Park, the Canterbury Mosque in Giles Lane, St Martin’s Church in Holmes Road and the New Life Pentecostal Church at the University of Kent among many others. There are several funerals directors in Canterbury and the surrounding area that will fully respect and carry out funeral arrangements for a variety of different faiths, as well as those of the secular community. Secular funeral venues include Westgate Hall in the heart of the city. 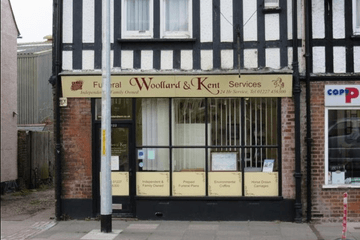 Whether you require burial or cremation for your loved one, Herne Bay Cemetery in Canterbury Road, Whitstable Cemetery in Millstrood Road and the Canterbury City Cemetery in Westgate Court Avenue all have the facilities available to accommodate your specific needs. Burials, eco-friendly funerals, the interment of ashes in tranquil memorial gardens, existing family graves or scattering of ashes at chosen venues can all be arranged by funerals directors in Canterbury. Wherever possible, they will also assist with any special funeral requirements. Search for local Canterbury funeral directors now to see funeral homes near you. You can filter search results by best rated, most reviewed or nearest to you. Click on a funeral director’s listing to see their profile page, where you can read independent customer reviews, search for recent obituaries, and learn more about the funeral services they can offer to you.